Come in and view the books from 5.30pm-8pm. 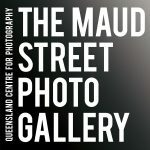 The images in Neil’s book have been taken on the streets of inner city Brisbane over the years 2014 to 2017. The title references the ubiquitous wayfinding signs often found in unfamiliar environments that enable us to determine our geographical position and plan a course towards our intended destination. It is also my Instagram user name all the images have at some time been posted to Instagram. The photographs are taken with a camera phone and processed using an app called Snapseed. (Neil is scheduled in October to have the next exhibition at Maud Gallery, opening on October 6th). Doug Spowart and Victoria Cooper will talk about their experiences at the Vienna Photo Book Festival, meeting Martin Parr and Gerry Badger and show some of the books they bought home from the Festival.